The US embassy in Israel will stay in Tel Aviv for a while longer, after President Donald Trump temporarily waived a law requiring its relocation to Jerusalem. Trump says he still favors the move, but that the delay is intended to help with peace talks. The Jerusalem Embassy Act was passed during Bill Clinton’s first term in 1995, but has been waived every six months by US presidents ever since. Trump was facing a Thursday deadline to renew the waiver or have the State Department lose half its funding for overseas facilities, AP reported. “No one should consider this step to be in any way a retreat from the President's strong support for Israel and for the United States-Israel alliance,” the White House said. Israel claims the entirety of Jerusalem as its capital city, but the claim has not been widely recognized. 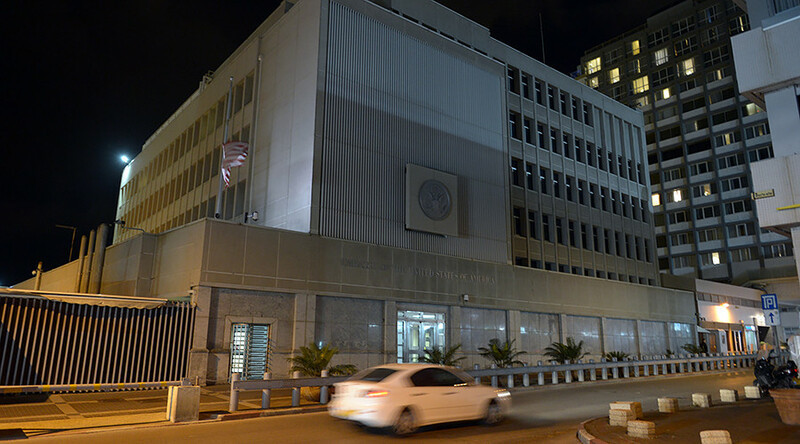 As a result, the US maintains its embassy in Tel Aviv. Israel is “disappointed” that the embassy will not move at this time but appreciates Trump’s friendship and commitment to moving it in the future, said Ofir Gendelman, a spokesman for Israeli PM Benjamin Netanyahu. Israel's consistent position is that the US embassy, like all other embassies, should be in Jerusalem, our eternal capital. “We strongly welcome the decision and highly value the message it is sending,” Jordanian government spokesman Mohammed Momani said Thursday, according to AP. Trump’s decision shows “how much the administration values the advice of its allies,” Momani added. Jerusalem was partitioned in 1949, following an armistice between the newly declared state of Israel and its Arab-majority neighbors. The Old City and what is now known as the West Bank were held by Jordan until the June 1967 war. While Jordan has since given up the claim to those territories, their international status remains in limbo, with Palestinians asserting the right to statehood and claiming East Jerusalem as their rightful capital. Trump visited Israel last month, on his first overseas tour, and was the first sitting US president to pray at the Western Wall in Jerusalem. However, the White House asked Netanyahu not to come along, as his appearance in Jerusalem would appear to prejudice the US position in the peace talks.